Whatever your DISC profiling needs, Discus has the answer. Whether you're working on a desktop or mobile device, you'll find a Discus solution to match your needs. The main Discus system is a completely cloud-based solution, and that means that all your account details, and your profile data, are available however you access the service. Because Discus has its own Web-based interface, you can use it on any device with a browser, regardless of device or operating system - Discus works just as well under Windows, Mac, Linux or any other Web-capable platform. To make Discus even more accessible, though, we provide a range of completely free apps for tablets and mobile devices. Discus HD gives you all the power of the main Discus system, but built into an app that takes full advantage of the iPad's capabilities. Sign into your Discus account, review your DISC reports, set up candidate invitations and even run a questionnaire directly on your tablet. Like Discus HD for the iPad, Discus Mobile gives you instant access to all of the major Discus profiling features directly through your iPhone. The Discus Mobile app includes everything you need to set up and create DISC profiles and read personality reports, all in an app specially designed for the iPhone. Approach is something different: not a direct Discus app, but a quick and simple profiler built on the same principles that underlie a Discus analysis. Approach is designed to help you quickly understand a person's major drives and motivations from their behavioural cues, and from those results build a useful guide to help boost productive communication with that person. 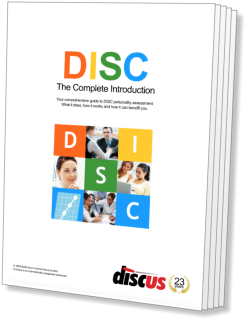 Understanding DISC is not a profiling app as such, but a handy reference guide to DISC, including all the basic information you need to understand how DISC profiles are developed, and how to effectively interpret the results. A reference guide like Understanding DISC is by no means essential to using Discus, but it provides plenty of useful background material to help you get the most out of Discus profiling. Compatibility: Discus will work on just about any platform, including Windows, Mac, iOS (iPhones and iPads), Android and Linux. Web-based Profiling: Because Discus works across the Web, you can use it from any device with a Web browser. Profiling With Apps: For mobile devices, DISC profiling is even easier with dedicated Discus apps for the iPad and iPhone. Sign in From Anywhere: Whatever computer or device you use, because your Discus account is held in the 'cloud' your DISC results are always accessible.